As the holiday season approaches, theft crimes are likely to be on the rise. Theft of any kind in New Jersey exposes you to harsh consequences. 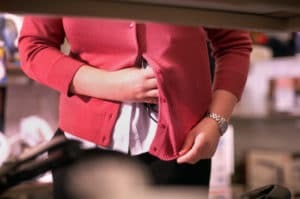 Here’s what you need to know about theft charges in Voorhees and the specific nuances of charges for stealing in New Jersey. For more information and to speak with an attorney about your theft charges, contact William C. Fay at 609-832-3202. What happens if I’m convicted of theft? If you are convicted of theft under New Jersey state law and federal law, you are facing the potential of significant jail time and very high fines. The penalties for theft under New Jersey law depend on what level of offense you are convicted of. In a recent case, police in Voorhees, New Jersey, have asked the public to provide any information they may have about a reoccurring incident of mail, particularly envelopes containing checks and cash, being stolen from U.S. Postal Service mailboxes. Stealing mail constitutes both a state-level offense, as well as a federal crime. You have probably heard the term “double jeopardy” and know it refers to your right not to be tried for the same crime twice. However, you may be surprised to learn that the Constitutional protection against double jeopardy does not include protecting a person from being tried for state-level offenses and federal offenses arising from the same actions. So, if you commit an offense like mail theft, you can actually be prosecuted and sentenced twice for the same actions under state and federal law. In New Jersey, a single act of mail fraud could lead to charges under NJ 2C:20-3, as well as U.S. Code Section 1708. How is stealing mail different than stealing anything else? Mail theft is not a separate offense under New Jersey law. While theft, or the unlawful taking of another’s property, is illegal in New Jersey regardless of whether the item is mail, federal law specifically criminalizes the theft of mail under U.S. Code Section 1708. Although many crimes are handled by state courts, the U.S. federal government is able to extend its jurisdiction to the offense of mail theft because the U.S. Postal Service is a federal agency. Under federal law, it is not only illegal to steal mail that does not belong to you, but receipt of stolen mail is also illegal if you keep mail that you know is not your own. Under federal law, you may be sentenced up to 5 years in prison and ordered to pay fines of up to $250,000. As you can see, the potential consequences for theft in New Jersey are severe. If you have been charged with theft in Voorhees or surrounding areas, reach out to our experienced criminal defense lawyers now at 609-832-3202 to review your case. William C. Fay and our legal team are dedicated to defending you against theft charges wherever they arise in Camden County.